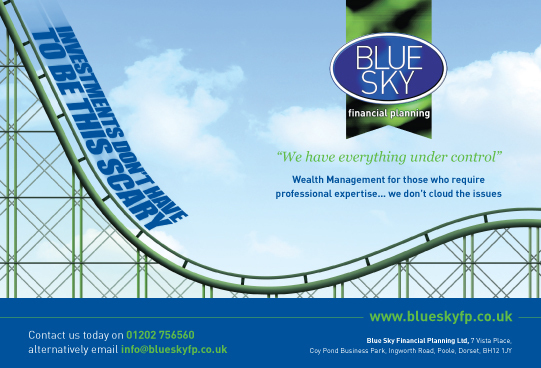 CuCo won a competitive pitch to develop an advert concept for Blue Skies Financial Planning Ltd. The specialist financial advisers, based in Poole, required a new concept for their adverts which would demonstrate their key services and encourage new clients to get in touch with them to find out more. Taking the concept of a rollercoaster to reflect the public’s perception of perilous market conditions – from a financial view point. CuCo developed a rollercoaster theme which involved illustrating a track for the rollercoaster and designing the words which form the carriage.